Property rights are the most fundamental institution in any economy and society. They determine who makes decisions about valuable resources and who captures the economic gains from those decisions; they mold the distribution of income, wealth, and political influence; they set time horizons and investment incentives; and they define who will take part in markets. These attributes are well recognized among economists for spurring economic growth. But economists have missed another equally important characteristic of private property rights that has long been emphasized in philosophical, legal, and historical literatures and is captured in the quote from John Steinbeck above. Individual owners are more confident, self-reliant, and entrepreneurial than non-property owners. Where access to property is widespread, politics are more stable. Owners have a stake in the existing political regime. Moreover, people acquire property through the market and do not mobilize for forced redistribution using the power of the state through revolution and revolt. They expect property rights to be secure and view government regulation with suspicion. The use and trading of property assets is seen as a positive sum game. With broad property ownership and market participation, the state is less important than the market, and the economy in turn is less centralized, more atomistic, market-based, and supportive of entrepreneurship. This description characterizes the United States from its colonial beginnings through the 19th century and generally on to today. In contrast, in countries where property ownership is highly skewed and access to ownership open only to elites, non-owners view things differently. Acquisition of property, wealth, and political power can only occur through capture and then enlistment of the state, as occurred in the extreme in 1789 France or 1917 Russia, or is reflected in recurrent political upheaval and redistributions characteristic of Latin America with its many disaffected populations, military revolts, and coups that have occurred since colonial times. This political uncertainty and lack of overall optimism and entrepreneurship has contributed to slower long-term economic growth than a region so rich in natural resources might have otherwise enjoyed. Why has the southern half of the hemisphere had such a different long-term experience than the northern half? Why has there been more ongoing economic growth and political stability in the North than in the South? Differences in the ownership of land is the key. Political economists and philosophers during the European Enlightenment, including Adam Smith, John Locke, Jeremy Bentham, Jean-Jacques Rousseau, John Stuart Mill, David Ricardo, Edward Wakefield, and Robert Torrens debated the role of individuals in society, their potential for advancement, relationship with the state, and the critical impact of general private ownership of land for advancing individual and resource potentials. The implications of land ownership as a threat for an authoritarian state and its power structure also were clearly understood by Marx, Lenin, Stalin, and Mao Zedong. Individual land ownership, speculation in land, and participation in capital markets based on land as collateral, was widespread in North America. It was the initial basis for a middle class. Because land was so available, almost anyone could own some and take advantage of capital gains as land values rose. In Latin America, this was not the case. Although there were vast frontiers open for European migration and settlement as the local indigenous population was pushed aside, ownership of land and minerals remained with the state and its use delegated to privileged elites. When private land ownership became available, it went to those elites. These varying patterns began in the way colonization unfolded in the two regions. The colonization of western hemisphere frontiers during the 16th and 19th centuries by England, Holland, France, Spain, and Portugal was molded by very different views of land and minerals distribution and ownership. In the Spanish, Portuguese, and French colonies, the process was controlled centrally by the crown. There was little emphasis on large-scale emigration with land being granted in large tracts to political elites. Ownership remained with the crown, and those who received land grants held them at its pleasure. For English North America, the nature and distribution of property rights were in sharp contrast. Individuals, not the crown, were the ultimate owners of land, and for the most part, it was allocated in small plots. Vast numbers of immigrants were attracted by the opportunity to secure land, and their ability to own it had profound consequences in the development of English colonies and subsequently, the United States. Colonists brought with them English laws, customs, and legal institutions and then modified them through the statutory enactments of local representative assemblies and rulings of common law courts. Property rights in land became a liquid source of wealth, to be bought and sold and used to obtain credit. Because land was the most basic resource, its widespread ownership became the catalyst for colonial economic and political development. The ownership of property made individuals special stakeholders in the society and dispersed political and economic power from elites in a manner that had not occurred in England and did not occur in Latin America. The easy circulation of land in the market facilitated extensive property ownership, undermining privileged inheritance and inalienability. Dynamic, open land markets became an essential ingredient for the credit system and its ability to support the growth of a middle class as well as to spur investment and innovation throughout the economy. Not only were frontier lands generally distributed in small parcels, but subsurface mineral deposits and oil and gas formations were secured initially by small holders. Rich gold and silver ore was found, beginning in California and then throughout the western region, and those individuals who discovered ore deposits claimed private ownership. Overall, private property rights to minerals encouraged exploration, discovery, and production. As the mining industry developed, American mining engineering schools and technologies became world leaders. Human capital and physical technology investments in the U.S. led the country to produce beyond what its resource endowments would have otherwise suggested. Ownership of major oil and gas deposits also went to private individuals. Oil discoveries in the late 19th century and into the 20th century largely took place on private lands, and surface owners held title to the minerals beneath their properties. As with minerals, private ownership and the potential to gain rents, encouraged exploration and production. Given relatively low costs of locating, drilling, and producing in new fields, entry was easy and production soared. The resulting output drove local economies, created local, self-reliant middle and upper classes, and made the United States a major world producer. Even as the economy and society became more urban and less industrial in the 20th century, the wealth generated earlier by widespread agricultural land and minerals ownership shaped the way in which American cities emerged. Rural populations moved to cities as investors, market participants, employers, and employees. The American urban grid system was designed to make city plots available for ownership and trade, just as farm land had been. Large-scale immigration, beginning in the early 20th century, also was absorbed into comparatively orderly urban blocks and neighborhoods. Core centers of cities became surrounded by rings of suburban developments with privately-owned, single-family homes on town lots. Cities became the center of entrepreneurship and innovation with investments and participation of many. New wealth was generated. There were no vast, haphazard urban squatter camps or favelas as has characterized Latin American cities. In Latin America the process of European migration and settlement was far more centralized and limited, very different from English colonization in North America. Ownership of land and minerals was retained by the crown in the colonial period and mineral ownership continued to be held by the state in post-colonial periods. Land was allocated in a centralized way in large holdings given to privileged parties, not in a decentralized manner to common people as in the U.S. land grants. Latifundia, encomienda, sesmarias, estancias, haciendas—not American homesteads—were the typical rural institution. The estates often were near-feudal organizations with natives and immigrant farm laborers bound to the land and the patriarchal structure. Others worked land in or near the grants as sharecroppers and tenants, with payments or crop shares to the large landholders. Mandatory labor conscriptions were assessed in native communities for working the mines of Bolivia and Peru. There was little active smallholder participation in land or resource markets in the way that occurred in the U.S. Although there were tenant farmers in the United States, if successful, they could become owners. That progress was not possible in Latin America. Ownership and wealth were highly concentrated as were the political structures. Relative to the U.S. frontier, a much smaller agricultural land or minerals-based upper class developed. Even in temperate Argentina, Uruguay, Chile, and southeast Brazil, large grant holders preempted the best lands and small farmers had difficulties obtaining title to their lands. Land conflicts due to incomplete property rights also occurred elsewhere in Latin America where small holdings otherwise would have been economically viable. The relatively fewer immigrants to these regions became tenants or were employed as agricultural laborers or range riders, gauchos, than as small freeholders. Indeed, unattractiveness of the Latin American frontier, compared to the American one, is reflected in immigration data. Some 243,000 immigrants may have arrived in Latin America in the first 100 years of colonization along with perhaps 7 million more between 1820 and 1920, as compared to 34 million to the United States. As urban areas developed in Latin America in the early 20th century, land-owning elites became the owners of export-based industries or other new enterprises. The same economic, social and political structures were maintained. Rural migrants and new immigrants located in urban areas as laborers, not as urban land owners or shareholders in new companies. Rather, they often came as squatters. They had a different outlook than their North American counterparts. The societies were far more stratified with changes in wealth and political power obtainable not from individual enterprise and access to property ownership, but through revolt and support of populist dictators, followed by military coups. There just is no history like this in North America. In these ways, the political and social power structures that emerged in North America and Latin America were based on the manner in which land and minerals were initially distributed. These colonial patterns have led to lasting differences in political stability, social interactions, individual mobility, optimism, and economic growth. Even as both the U.S. and Latin America have become more urban and industrial in the 21st century, these varying patterns remain. The U.S. continues to be an overwhelming attraction for immigrants. Its economy is vibrant and innovative. There is no turn to the state in any real way for a major redistribution of property. This is not the case for Latin America. The region has under-performed, as compared to its resource and population endowments, and large-scale redistributive politics remain a threat, lowering long-term investment and economic growth. John Steinbeck’s quote, introduced at the start of this essay, would easily be descriptive of the population of any area of the United States at any time. A similar characterization for Latin America would not fit, historically or today. Individual property ownership does expand individual horizons and sense of self-worth. It just has not been part of general expectations for many in most parts of Latin America since the colonial period. 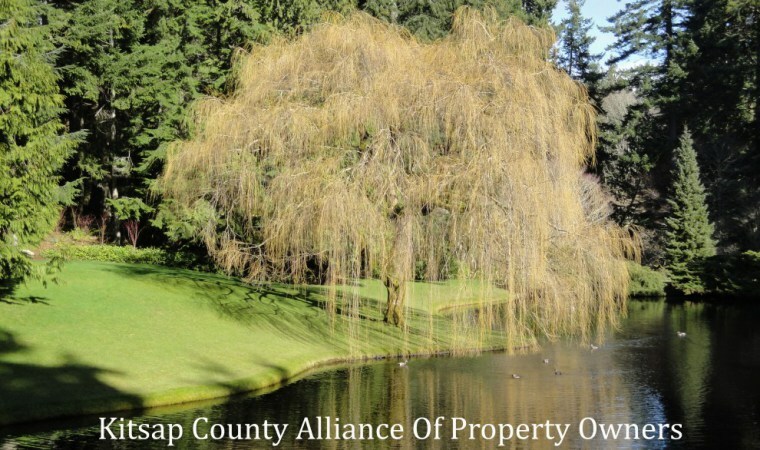 This entry was posted in Commentary, Kitsap Alliance News, Property Rights. Bookmark the permalink.